The July 22 and September 30th 2007 twin elections in Cameroon confirmed an earlier appraisal of our electoral democracy-one characterized by the increasing rate of voter apathy in our elections. From a 60.6 % voter turn out in the Parliamentary elections in 1992, through a less than 45 % in the twin elections of July 2007 to a ridiculous 20% participation in the twin re-run of September 30th 2007 the electorate seems to be now voting with their feet. 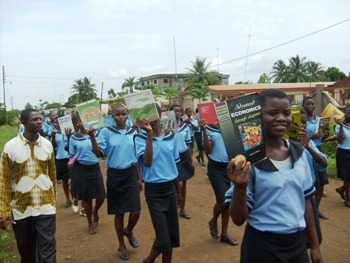 One of the daunting challenges in the Cameroonian education system is the lack of reading culture in schools. This problem is compounded by two major factors. First, the Cameroonian system of education is dominated by exams which play a crucial role in deciding the students’ future. Second, almost all the students and teachers speak English as their second or even third language. 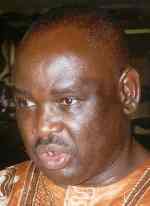 George Ngwane - "Libraries Have Become Mere Warehouses"
The Chairman of the National Book Development Council, NBDC, Mwalimu George Ngwane, has said libraries have just become mere warehouses where books are dumped are nobody seems to be bordered. Schools administrators, he added, do not seem to see the need of libraries. Mwalimu George Ngwane made the statement to the press at the Buea Independent Square Wednesday 14th October shortly after donating 2,100 books to some 21 institutions drawn from Fako division in the South West Region. Speech by George Ngwane,Chairman National Book Development Council, Cameroon, on the occasion of the World Book Day April 23rd 2008 at Imperial Academy for Arts and Science (IMPAAS) Tiko. On behalf of the National Book Development Council Cameroon, I feel honoured to make a stop at your institution in pursuit of our “Mobile library or books on wheels project”. The main purpose of this project is to promote a book culture among the youth with more emphasis on the girl child and to equip libraries that would provide access to education and literacy to youths.